Elangomat, which means “friendship” in the Delaware Lenni Lenape Indian language is an aptly named gathering spot. Relax in this large yet informal space, featuring a field stone fireplace. It sits at the heart of Hallowood and is designed for quiet reflection or close conversation. The labyrinth is an ancient symbol found across many cultures around the world. 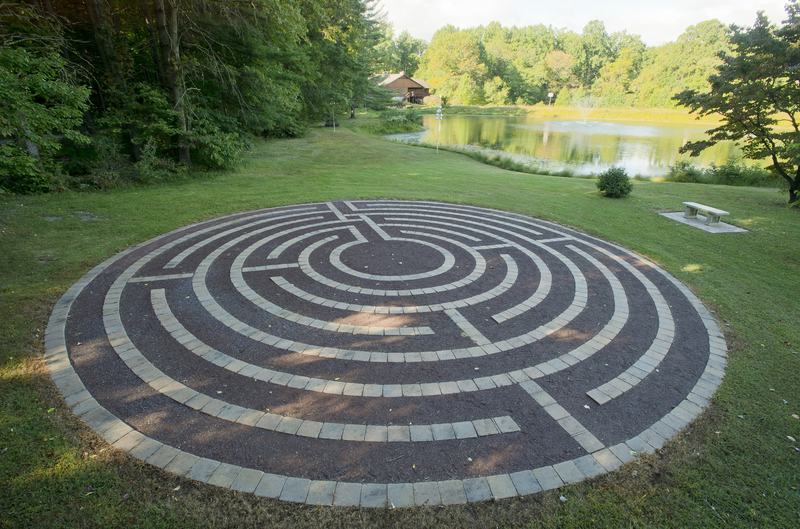 Enter the labyrinth and journey along a spiritual path for centering and meditative prayer. Rest, refresh your spirit and experience a peaceful renewal. 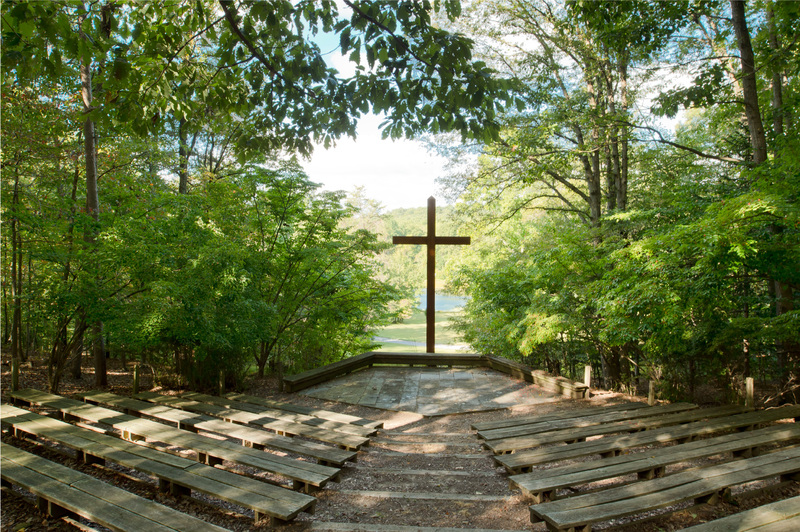 Hallowood’s Worship Center, an outdoor amphitheater, is marked by a large cross that overlooks the pond. A short walk from the Center, it offers a special place for prayer, meditation and renewal. The historic log cabin on the Hallowood property was part of the Mount Ephraim Black community, established in 1814, by David Moody, a free black, and was occupied by his family and others until the early 1950’s.